Straighter and whiter teeth are synonymous with confidence, well-being and success. At Barrington Dental Care in Altrincham, we concentrate on providing you with the smile that you deserve in as discreet a way as possible. We also work to ensure that your teeth are harmonious with your face and jaws to ensure stable results. Our team of caring dentists will be able to advise you following an initial consultation which option is right for you. Chewing and biting forces are evenly spread between the teeth, reducing the risk of overloading individual teeth. This can result in sensitivity, tooth movement, wear and cracks appearing. Straighter teeth are easier to maintain and clean. Teeth are less likely to pick up staining and unhealthy plaque/tartar deposits because there are less hard to reach area. Straighter teeth improve your self confidence and appearance. This technique involves using a series of removable clear retainers to progressively straighten your teeth. Due to their thin nature and clear appearance these have proved very popular with adult patients as it minimizes the effects on speech and are invisible to the undiscerning eye. 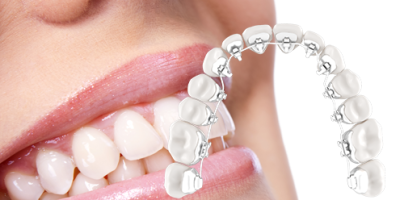 Using just one aligner, this is a very attractive method of straightening front teeth. 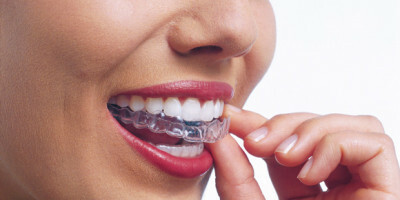 Although more bulky and apparent than aligners, it is a quicker and more cost effective process. Gone are the days of metal mouths and train tracks. We appreciate that the use of aligners will not give some patient ideal results. 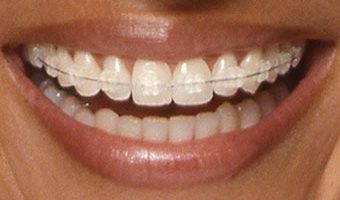 Using traditional gold standards of brackets and wires we are able to fit clear brackets and white wires which are much less noticeable. Straighten your smile without the knowledge of others. As the brackets are fixed to the inside of your teeth these are perfect for the most self-conscious individual. They work in a very similar manner to traditional braces but can take time to adapt to their presence especially for your tongue. Find out more about teeth straightening and view examples of our work here.